Make a note each day, set alarms and reminders to organise your life. You will see that days note on the opposite screen. 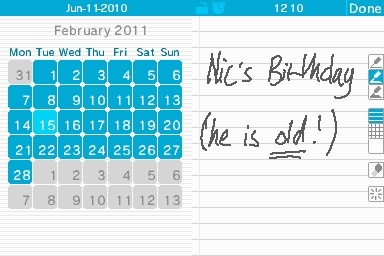 Tap on a day in the calendar to see the note. Tap it again to edit it. When you are editing a note tap the alarm icon at the top to add or edit an alarm. 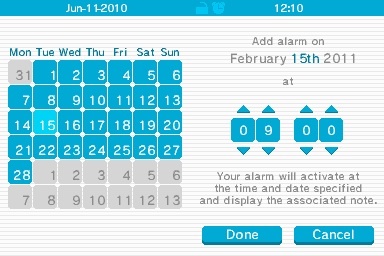 Alarms will trigger anytime you are using myDiary. If you have not turned myDiary on in a while any alarms will trigger to let you know what you have missed! 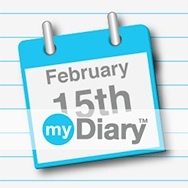 As you use myDiary you will unlock extra themes and inks to personalise it with. If you own other Nnooo software you will open up these themes quicker and there are some bonus ones to unlock too! 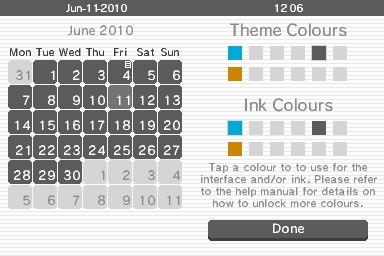 Themes let you change the colour of the whole diary. Inks will change the ink colour for all the notes you have written. And you can start to edit the note. Use the different pencil thicknesses to write or draw your note.